Yesterday I was the closing keynote speaker for Sarepta Therapeutics's leadership summit in Miami. My address was shaped around their conference theme of Frontiers - only I talked about the tiny frontiers we face between today and our ultimate destination(s) and the need to pivot and adapt to circumstances out of our control. The story arc was based on Mitchell's Journey because they wanted to lift the curtain a little and gain more insights on the impact rare diseases have on families - but had a host of leadership principles throughout. It was a powerful meeting filled with insights on what it means to be human and how to lead, no matter the challenges in front of us. Tonight I spoke at PPMD's healthcare summit and shared a candid look at the impact social media has on families, medicine, and the pediatric population. I also explored some challenges related to cognitive bias, the Dunning Kruger Effect, and the need to be more circumspect with words -- especially at a time when humans are not only flooded with information but sometimes drowning misinformation. We’re grateful for AGC of Utah’s generous contribution to the Mitchell’s Journey Foundation. They’ve been a loyal supporter of our work for a few years now and we’re humbled each time they donate. These funds are used to continue our work to create awareness, offer tools of hope for families who struggle to cope with loss, and support DMD families who need help with wheel chair ramps, ADA home modifications, and more. 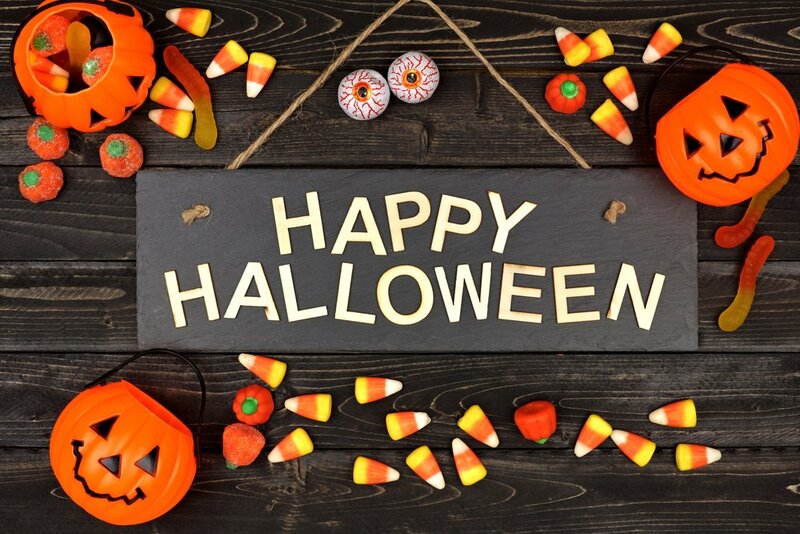 We wish our friends at Mitchell’s Journey a happy Halloween. We have grown to love this dear DMD family and many others in Ireland. We were humbled to be interviewed by a popular radio host in Ireland. It was a touching exploration of our view on hope. We’ll share the interview when it is published. Tonight Natalie and I spent time with Paula, Padriac, Archie, George, and Isaac. These three boys have DMD, just like Mitch. This family was so gracious to have us over for dinner, and we enjoyed their company a great deal. Watching the two younger boys wrestle around the floor and walk on their tippy toes reminded us of our sweet Mitch. Archie, the eldest brother, was smart and insightful. We loved talking to him. The younger boys asked if Natalie could read a bedtime story, which she did. I think this was the highlight of the trip for my sweet wife. It reminded her of reading stories to sweet Mitch, and it warmed her heart. The boys sat attentively in their bed as Natalie read a children's book we wrote about Mitch called "The Thing About Giving." It's a story of Mitchell getting his puppy and what happens when we give: both the giver and the receiver are blessed. We have one more day here, and honestly, we don't want to go quite yet. So many other families we want to love. So many stories we want to hear. So many heavy hearts we want to lift and hug. We’ve been honored to spend time with the good families in Ireland. We were asked to share a message on hope … how to find it, and how to keep it once you have it. We’ll share some snippets of that address soon. שיעור בנחישות והתמדה. גם שהכול הולך נפלא פתאום יש רגעים שלא. השחיה הייתה מתוקתקת ולפי התוכנית , הרכיבה הייתה מתוכננת שמרתי על קצב והגעתי לתוצאה הרצויה , עד כאן היה הכול נפלא . ואז הגיע הריצה והחום הגדול והופ הגוף מסרב לשתף פעולה יותר נכון הראש , 4 סיבובי ריצה שכל אחד מהם חמישה ק"מ בקיבוץ שדות ים, חלק בחול ים חלק באספלט רותח. בשני הסיבובים הראשונים הייתה מחשבה לפרוש החום היה מעיק הדופק בשמיים ואז עוברים להליכה , ושוב ריצה שהדופק יורד , את השעון העברתי למצב דופק בלבד והחלטתי שזה הדבר היחיד שמכתיב לי את הדרך . בכל תחנת מים עוצרים ושותים . בדרך שאלות מי הילד בתמונה על הגב. זה ילד שחלה בדושן ובגיל 10 ליבו הפסיק לפעום. מאז בכל תחרות שאני רץ בה , הוא על הגב שלי. ולמה.. בין היתר כי אני יכול . שיש לך דושן ואתה תקוע בכיסא גלגלים או מכונת הנשמה אין לך הרבה אופציות לבחור, אבל לי יש. אז כשהם מתמודדים גם אני מתמודד ומסיים , גם עם זה ידרוש הליכה של כל המרחק. הגם שאת שלושת הק"מ האחרונים רצתי כמו ריצה של סוסים לעורבה, ולא עצרתי לרגע. אחרי קייץ שהיה חם לרוץ ועוד תקלות בדרך ידעתי שהריצה הפעם תהה עקב אכילס שלי בתחרות אבל לא עד כדי כך. בסוף זה הסתיים. ואי אפשר בלי תודות . תודה ל Naomi Wainsztok שהביאה אותי ממש קרוב והיום עודדה בדרך. תודה ל Yoram Levav שכיוון דאג תיקן ועידכן כדי להשלים את ההכנה שלי עם התקלה בדרך. ותודה למשפחתי ואשתי היקרה Tali Kushman Kaplan שמאפשרת לי את כל השעות האלה והשיגעונות הספורטיבים שלי. A Mitchell’s Journey reader was so touched by our latest essay, The Truth About Trauma, she asked for permission to translate and re-post that story in Chinese. Thank you Atterly Ho, for helping Mitchell’s Journey reach more people. Just wrapped up a podcast interview for the Love Your Story series. Though I look blank in the image, it was a lovely discussion on Mitchell’s Journey, coping with hardship and finding meaning in life. This episode looks to air sometime in December. We’ll lever everyone know when it is online. A non-profit in Texas, The Akari Foundation, translated a recent article written about Mitchell's Journey. Thank you for making this available to the spanish speaking community! Here's an article written about the work we've been doing at Mitchell's Journey. 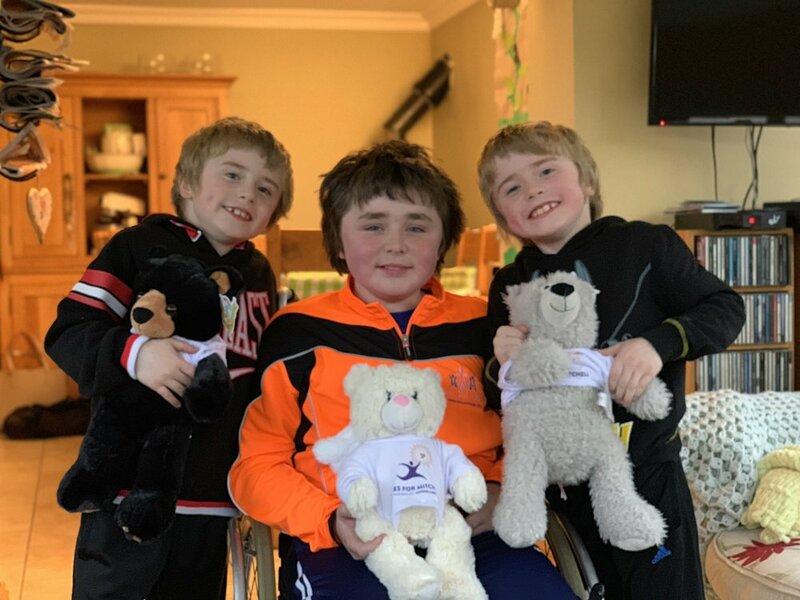 Five years after the death of a Utah boy named Mitchell Jones, the national foundation created in his name helps families struggling with the ravages of Duchenne muscular dystrophy. Jones, 44, is a self-described “serial entrepreneur” from Salt Lake City whose creative ad agency helps other nonprofits. His wife, Natalie, is a stay-at-home mom. A board member of Parent Project Muscular Dystrophy (PPMD), Jones recently spoke to Muscular Dystrophy News Today following his keynote presentation at PPMD’s 2018 Annual Conference in Scottsdale, Arizona. About to give a keynote at the #PPMD conference on the pursuit of happiness: surprising discoveries about finding joy in the journey. Pat Furlong is a tremendous leader in the fight against DMD and trying to help newly diagnosed families. Greg Tanner, the founder and director of Base Camp, a summer program for youth that teaches leadership and provides humanitarian service, introduced his audience to Mitchell's Journey as a foundation to support this summer. Their goal is to directly serve families affected by DMD. We're excited to work shoulder-to-shoulder with them!